Two Pillows – Finally Finished! As you can see, I had a much better month then January, since I actually used more fabric than I bought. My overall net went down by 1 yard, so surely by the end of the year my net fabric used will be running in the negative (that’s the goal). I also had time to finally finish two pillow kits that I’ve had for at least 4 years! 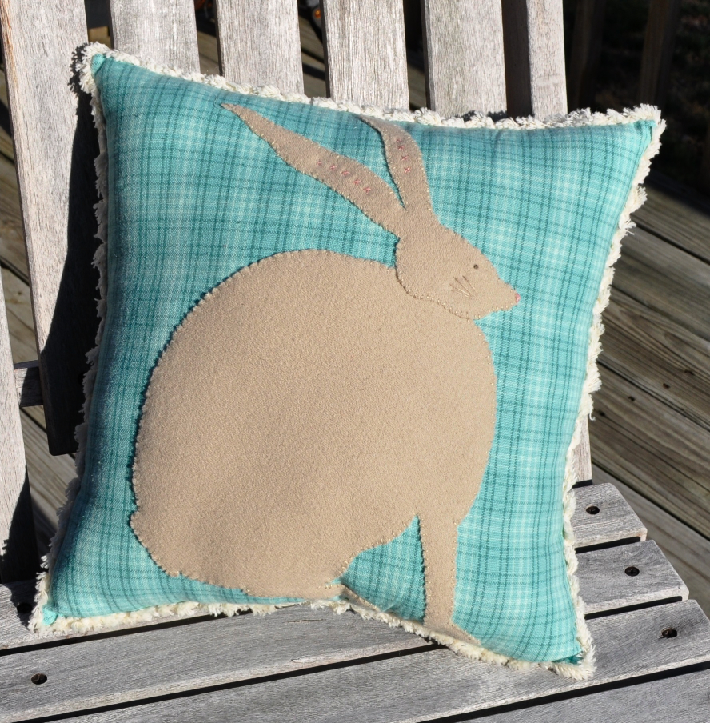 The first is a cute little wool bunny – perfect for Spring. This kit is from a LQS (local quilt shop), and I think the owner of the shop drew the bunny pattern. This is wool applique on top of one of those colorful cotton dishtowels. The trim is a cream colored fringe that sets off the pillow perfectly. The second pillow is from a Crabapple Hill pattern (I think it was a freebie pattern she offered a long time ago). It is stitched with Red, White, and Blue perle cotton. I love the fireworks! What projects have you been able to complete this month? What are you working on for Spring? This entry was posted in Applique, Embroidery, Holidays, Household, Stash Reduction, UFOs. Bookmark the permalink. Cute pillows!! 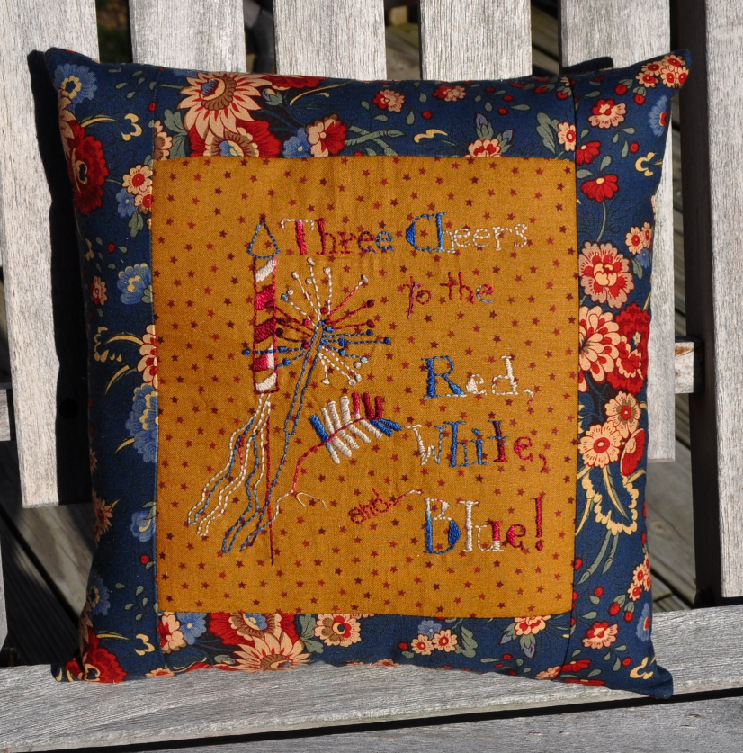 Love your take on the 4th of July pillow!! Thank you! Don’t you have one of these pillows too? Awesome! Glad you got the top done while you were here. I’m still working on my weight loss and yoga. Those are good projects! Don’t get sidelined by all the Easter candy that’s out there. The bunny is absolutely adorable. I love all the projects, I just wish I had the patience and talent to complete a quilting project from start to finish. My goal is complete a rocking chair redo for my daughter.